Eastern General Manager Ben Telley takes members on a guided tour of their new facility, currently under construction in Yering. 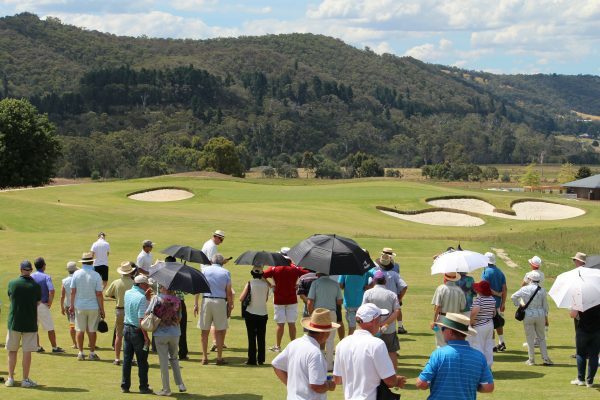 MEMBERS of The Eastern Golf club in Melbourne were recently treated to a sneak-peek of their new Greg Norman-designed golf course, currently under construction in the Yarra Valley. As part of the club’s ongoing going commitment to communication and development transparency to members, the club hosted an Open Day on site in Yering in December. Over 200 members were in attendance over the morning and afternoon sessions, where they were taken on a guided tour by the club’s General Manager, Benjamin Telley. Members were led throughout the club’s 600-acre property, starting at their boutique accommodation, Yering Gorge Cottages by The Eastern Golf Club, which features stunning vistas and highly-praised accommodation (See Inside Golf’s review on our website). Members were then taken through a number of holes throughout the property, with highlights including the Par-4 first hole, a short and “welcoming” opening hole; the Par-3 6th, which boasts magnificent view lines of the Christmas Hills and Yarra Valley; the short but imposing Par-4 7th, which lies near the club’s 120-acre Nature Reserve; the 8th hole, a beautiful Par-3 with a wall of native bushland as the backdrop; the stunning par-3 13th, which features a beach bunker; and the 16th and 17th holes, which border the Yarra River. In addition, members were treated to a gourmet barbeque and refreshments at the impressive clubhouse, as well as tours of the Golf Teaching Academy and Tennis Courts. With only five months remaining until the scheduled opening on June 13th, many members are champing at the bit to tee it up at this spectacular facility, which has undergone an immense amount of work in recent months. When finished, the facility will comprise 27 holes of golf, a 9-hole par-3 course, gymnasium, tennis courts, golf academy and driving bays and adults’ and kids’ games rooms. It is arguably one of the most anticipated new course developments in Australia, and it is expected to be a world-class, member-friendly facility. 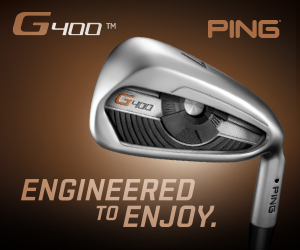 “This 27-hole project is really unique as golf is the only focus,” said Greg Norman recently. ”It’s rare in this day and age that we get a project that does not have a residential or resort component. This golf-only focus has given us the opportunity to create something really special on this property that offers beautiful vistas of the Yarra River and the surrounding mountain range. Mr Norman himself recently rated the golf course routing/design as the No. 1 among his many projects in planning or construction around the world.